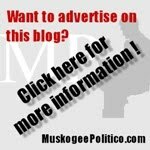 The Muskogee Politico endorses Debbie Lienhart, with the full realization that she will lose overwhelmingly. Lienhart has failed to run an active campaign, which is a shame, because the current representative is very liberal. Hopefully, this district will have an energetic Republican candidate next election. In 2000, Republican Stuart Ericson won this seat (and was subsequently re-elected in 2002, but lost in 2004), proving that it is possible for the GOP to win in this district. 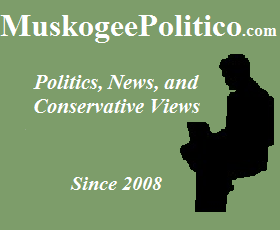 For the House District 14 race, the Muskogee Politico endorses Rep. George Faught. Rep. Faught has done a good job as representative, and deserves to be returned. He has fought to make English the official language, for tough immigration reform, for pro-life issues and for lower taxes. Faught made history in 2006 by becoming the first Republican to win this State House seat, and we want him to make history again by being re-elected. The Muskogee Politico has decided to endorse the current sheriff, Charles Pearson. In his years in office, Sheriff Pearson has done a good job. Roger Lee, the Republican candidate, has run against Pearson before (he ran as a Democrat four years ago), and appears to have something personal against him. In our opinion, the only reason to vote for Roger Lee is to boost the Republican percentage of the vote (thereby encouraging future Republican candidates). Text of the Proposition: "Shall Muskogee County, Oklahoma implement a 9-1-1 Land Line Emergency Telephone Service as authorized by the 9-1-1 Land Line Emergency Number Act, Title 63 of the Oklahoma Statutes Sections 2811-2821, and fund such service through the imposition of a 9-1-1 emergency Land Line telephone fee for each Land Line connection (e.g. Land Line Telephone) in the county as determined by the subscriber's place of primary use, which fee shall be in the amount of fifteen percent (15%) per month for each Land Line connection (e.g. Land Line Telephone)?" Although the fee seems high to me, I have not been convinced that we should not pass this Proposition. As I say below, Muskogee County needs a up-to-date, uniform 9-1-1 service badly. 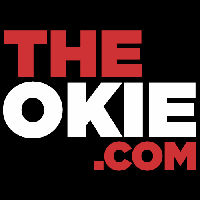 The Muskogee Politico tentatively endorses Prop 1. Text of the Proposition: "Shall Muskogee County, Oklahoma implement a 9-1-1 Wireless Emergency Telephone Service as authorized by the 9-1-1 Wireless Emergency Number Act, Title 63 of the Oklahoma Statutes Sections 2841-2904, and fund such service through the imposition of a 9-1-1 emergency wireless telephone fee for each wireless connection (e.g. cellular telephone Telephone) in the county as determined by the subscriber's place of primary use, which fee shall be in the amount of fifty cents ($0.50) per month for each wireless connection (e.g. cellular telephone)?" 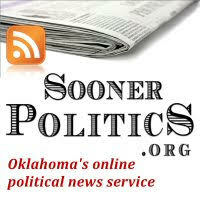 Again, as I have not been convinced otherwise, the Muskogee Politico endorses Prop 2. 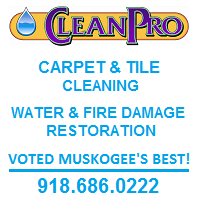 Muskogee County does not have a uniform 9-1-1 service county-wide, which affects the emergency service provided. This fee seems a bit easier to take than the other one.